Charming upstairs efficiency. Remodeled by Architect. Near Ringling Museum. Accommodations for 2-3. One queen bed, one pull out sofa. This is a cute walk up apartment in a very quiet and safe neighborhood. We are located about 5 minutes from downtown Sarasota and about 10 minutes to Lido Beach (Gulf of Mexico), and Saint Armands Circle for shopping and fine dining. We are 50 yards from Sarasota Bay for sunset views at the park in front of the property. You have your own parking space off the street. There is a private deck for outdoor dining and BBQ. We have had many happy renters: 'We enjoyed our stay very much. You have an outstanding location.' Thanks, Bill and Carilyn. The unit is attached to the Owner's home, but has private entrance. This is a great neighborhood for walking. You can walk to the famous Ringling Art Museum (about 5 min.) where you will find an outstanding collection of World famous art or pay a visit to C'Zan the restored home of John Ringling of Circus fame. This beautiful property along the Sarasota Bayfront has a circus museum, 2 performing arts theatres, a restaurant and gorgeous grounds including a rose garden nestled under magnificent 100 year old banyon trees. The New College and the University of South Florida, are also located in this neighborhood. Sarasota Jungle Gardens is located about 3 minutes away. Here you will find another superb Tropical Botanical Garden, as well as animal exhibits and displays for children as well as adults. This is a walk up apartment, next to a single family home. It is a very safe and quiet neighborhood. You will have off-street parking, right in front of the unit. You will be about 6 minutes to downtown Sarasota, and about 15 minutes to beautiful Lido Beach on the Gulf of Mexico. Lido also has the famous St Amands shopping circle with exquisite retail and restaurants. I am a practicing Architect. My wife is from Peru; she is an independent health insurance agent. We have 2 children, and 3 Grandchildren. Cute comfortable efficiency apartment in a very quite neighborhood of single family homes valued at $400,000 to 1 mil. 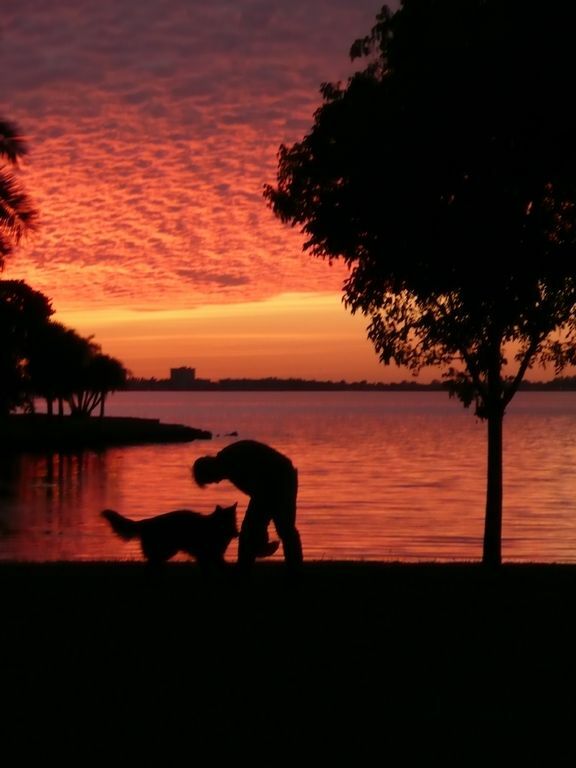 You are 100 yards to Sarasota Bay to view dazzling sunsets in our neighborhood park. You can walk to the famous Ringling Art and Circus Museum. Nice place, clean, close to everything , nice safe neighborhood, very quiet, would stay here again and refer it to friends. Terry’s place worked out perfectly for us. Close to where we needed to be, and we thoroughly enjoyed being right by the bay. We really didn’t cook, but it was great to have a kitchen for breakfast foods and coffee. Thanks for being great hosts! Had a very nice time. It was comfortable, safe and secure in a beautiful setting. Enjoyed the sunset every night at the park across the street. Could not have been more pleased. This is a darling treehouse in the sky that you will LOVE! I will be back each year. Great to have Julie stay at our apartment. Super guest...hope to see her again soon. Great location, convenient, clean. Owner was great and easy to work with. Thank you!